Africa is uniquely placed to trade with growing markets in the East, established markets in the West, and domestic markets on her own continent. 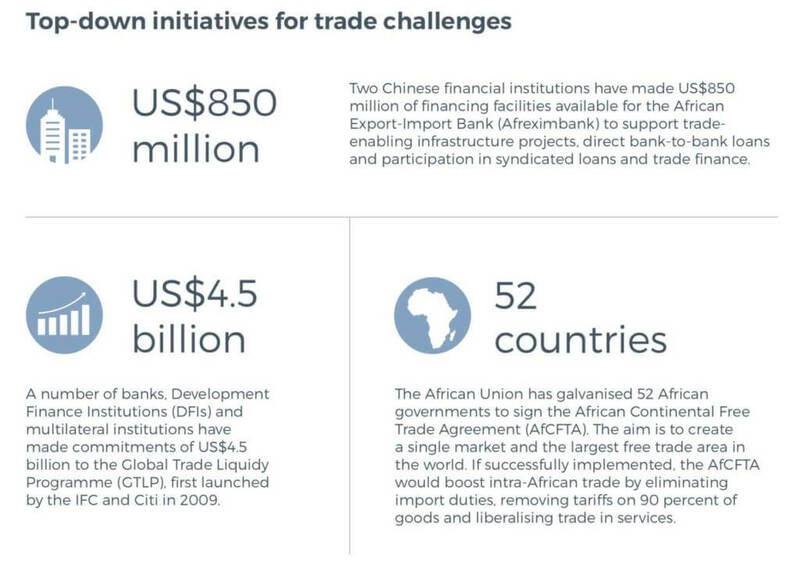 In order to benefit from the ensuing economic advantages, the continent’s financial institutions have started to tackle the unmet demand of Africa’s trade finance gap, currently estimated at US$120 billion by the African Development Bank (AfDB). TFG heard from Theo Cooke, Engagement Manager at Orbitt on the state of the African trade finance gap. A number of wholesale trade finance initiatives have been brought to the fore, aimed at unlocking intra-regional trade to boost economic growth. But emerging technology offers a timely opportunity to anchor the continent’s top-down approach with a nimble, efficient and bottom-up solution. From a distance, these headline-grabbing initiatives appear to have understood the root cause of the challenge, and seem to be taking the necessary steps to address it. However, when we look closer at the market data, a different picture emerges. 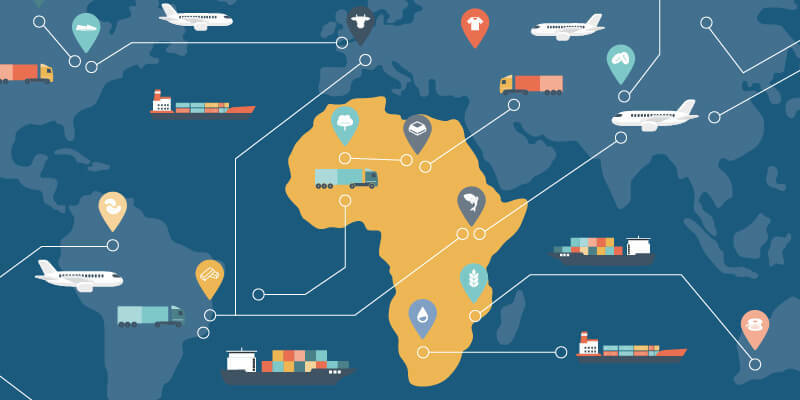 Finding the African trade finance gap. The traditional overdependence on banks has led to a skewed distribution of funding to the continent’s growing trading businesses. 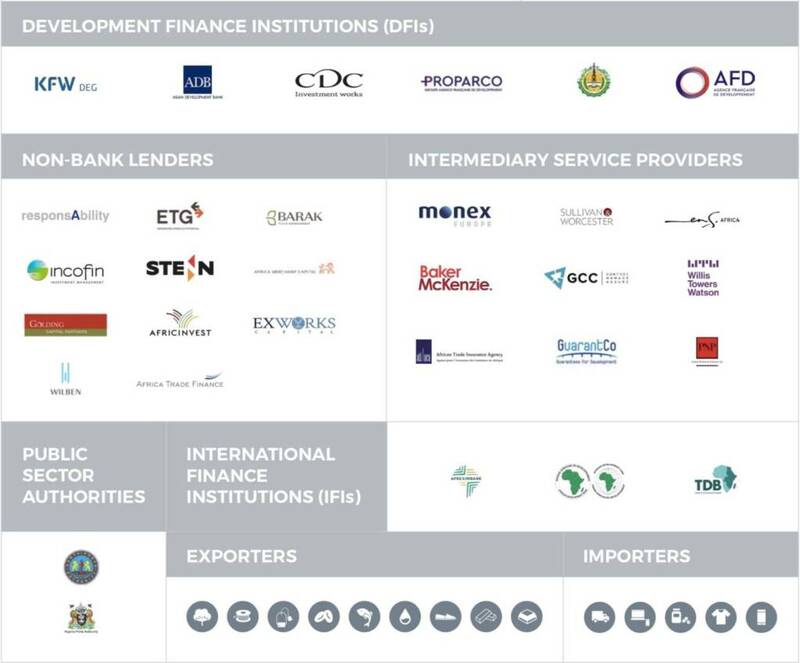 Domestic and international banks still account for over 30 percent of total trade transactions in Africa, while the amount of bank-intermediated trade finance devoted to intra-African trade is estimated at just 20 percent of the continent’s total trade, according to the AfDB. Large African corporates absorb the lion’s share of this trade finance while small and medium-sized enterprises (SMEs) and first-time applicants face significant challenges in accessing credit facilities from banks. 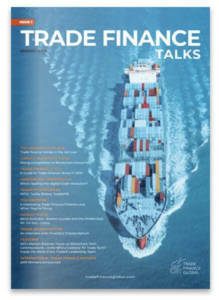 The continent’s leaders and investment professionals have several options for tackling the trade finance gap. Much of the attention to date has either been on the already-bankable, large African corporations or the international companies with banking lines overseas. Little has been said about the SMEs who are locked out of their local banking systems with limited access to alternative funding options abroad. SMEs are often the backbone of economies and African countries are no different. The World Bank estimates that SMEs contribute up to 60% of total employment and 40% of GDP in emerging economies. With this in mind, we are of the opinion that by zooming in to understand the obstacles to trade faced by SMEs in Africa, it is possible to develop bottom-up solutions to address these challenges. 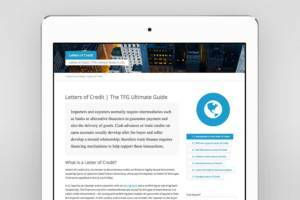 Digital solutions have a key role to play in closing the trade finance gap. 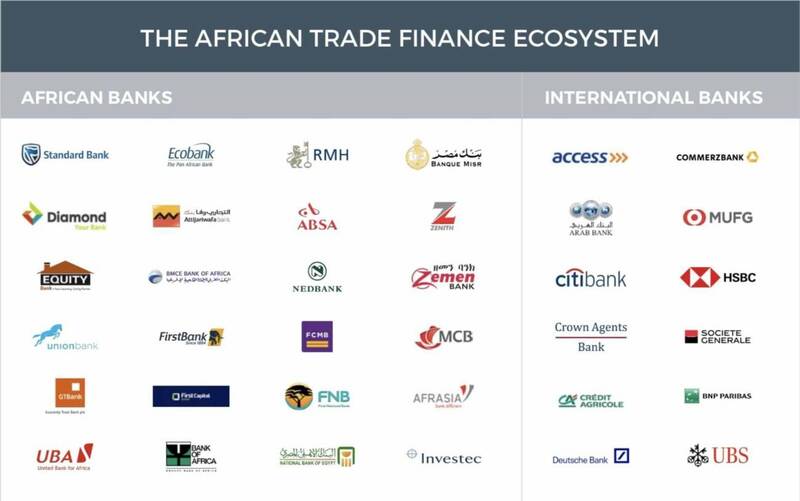 To date, there has been a lack of discussion about how key players within the ecosystem can leverage technology to improve access to trade finance in Africa. But technology alone cannot be a panacea and will need the support of a multifaceted and unified approach. This will require combining the efforts of local and international banks with the broader influence of multilateral institutions. 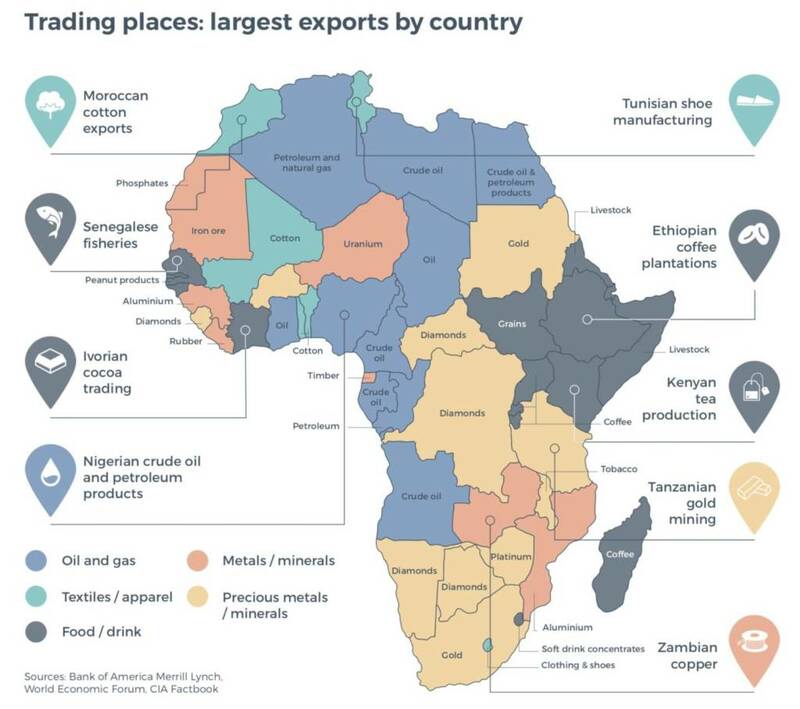 Africa is fundamentally a trading continent. The socio-economic structure of most African countries hinges on trade. Despite recent and concerted efforts to diversify economies, trade still accounts for 51 percent of Africa’s GDP according to World Bank data. A recent report by Bain & Company (see below) forecasts intra-Africa trade to grow at 5.3 percent between 2016 and 2026. SMEs, and in particular businesses with revenues of over US$1 million, are expected to account for a significant percentage of this growth. These enterprises contribute to a large proportion of Africa’s trade, but even though 88 percent of African SMEs have a bank account, only 25 percent have a loan or a line of credit (AfDB). A similar IFC report calculated the finance gap (across all types of finance) for the 44 million micro, small and medium-sized enterprises (MSMEs) in sub-Saharan Africa to be US$331 billion. to support the fundraise process. 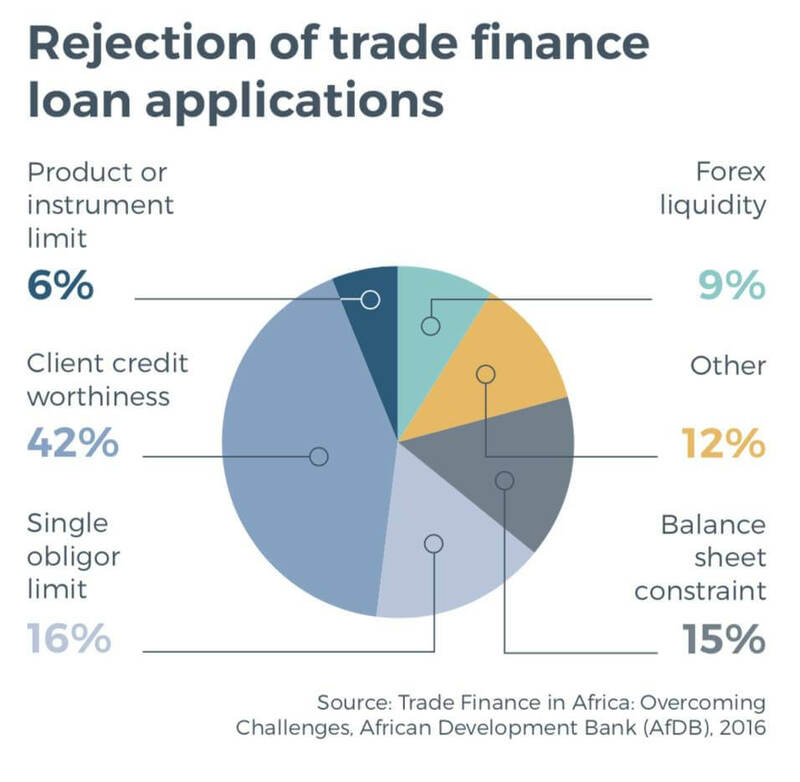 The number and range of limiting factors that prevent businesses from accessing Trade Finance, as highlighted by African SMEs themselves (see below), presents a structural challenge for banks and other traditional lenders. The provision of capital, therefore, becomes high cost, high risk, and low margin. Banks are the most important source of finance for businesses in Africa, much the same as in the world’s most developed economies. The AfDB’s recent survey of 900 African banks revealed that over 30 percent of the continent’s total trades are bank-financed. An estimated 68 percent of these trades were off-balance sheet (OBS) transactions, such as letters of credit (LC). The remaining 32 percent of activity was on-balance sheet transactions such as short-term loans. But the traditional relationship-based corporate banking model is costly to operate when dealing with medium-sized businesses and smaller loan tickets. This explains why most SMEs struggle to access the required funding to support the growth of their business despite having a bank account. Neither international nor local banks are able to invest in relationships with these SMEs because lending is often costly and at times uneconomical. As a result, the continent’s more established businesses receive the lion’s share of available finance. The issue is often more complex than simple banking economics. In many cases the fundraise process is frustrated and often blocked by an information asymmetry. This is due in part to a lack of supporting financial information which limits the bank’s ability to offer lending facilities to SMEs. Smaller businesses may lack the required data such as credit history or audited statements. An absence of these records prevents banks from assessing the cash flow situation of any given company. Banks are also focusing on their most profitable clients in light of international banking regulations. As well as a need to comply with strict due diligence requirements, banks must hold higher levels of capital reserves to offset the risks they take. The Basel III reforms have reduced the amount of capital that banks are able to lend. The losers here are the smaller and less profitable business lines, in other words the SMEs. 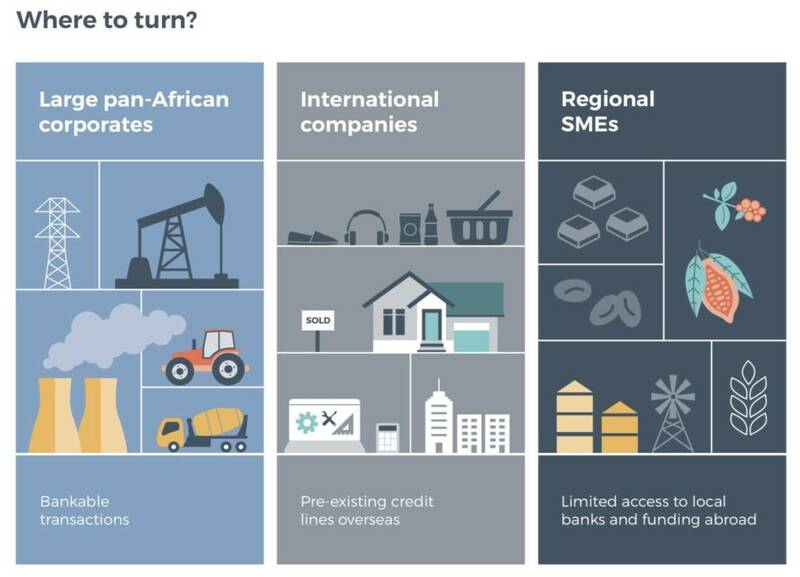 The combination of growing SME demand for trade finance and the constraints faced by African banks is a major contributing factor to the emergence of private credit as an asset class in Africa. Taking on debt to grow the business is becoming increasingly attractive to African company owners, especially among low-cap to mid-cap companies. This is due in part to a wider range of financing options that have been relatively inaccessible to businesses across Africa up until recently. Alternative lenders are frequently able to offer funding at 18 percent – as opposed to a bank that may offer 25 percent – which is eminently appealing for a business looking to raise capital. Investors are also seizing the chance to deepen Africa’s trade finance landscape by providing credit-constrained businesses with the required type of capital for growth. This is more attractive given the lower risk profile of short-term financing as a result of increasingly lower rates of default. Regardless of the size of the opportunity, institutional investors, banks, importers and exporters face the challenge of assessing and finding the right counterparty during the investment process. This is further complicated when African company owners don’t know where to start looking for investors, and even greater for those seeking their first sizable credit facility. We see the potential for all parties within this ecosystem to leverage technology. In removing friction points and repeated processes, Africa-focused investors, intermediaries and businesses can reduce their overall transaction costs. This is applicable across the transaction cycle from deal origination through to due diligence and transaction management up to deployment and portfolio management. As much as technology can provide the necessary tools to save time and improve efficiency, it also opens up the possibility for banks and non- bank players to better collaborate on deals, thus improving and increasing capital deployment. Following a spell with a boutique Africa-focused investment firm in London, Theo spent two years at africapractice working on stakeholder engagement mandates for financial services clients across Africa. He has worked on projects in over 10 countries on the continent. Theo holds a BA in French from the University of Bristol.